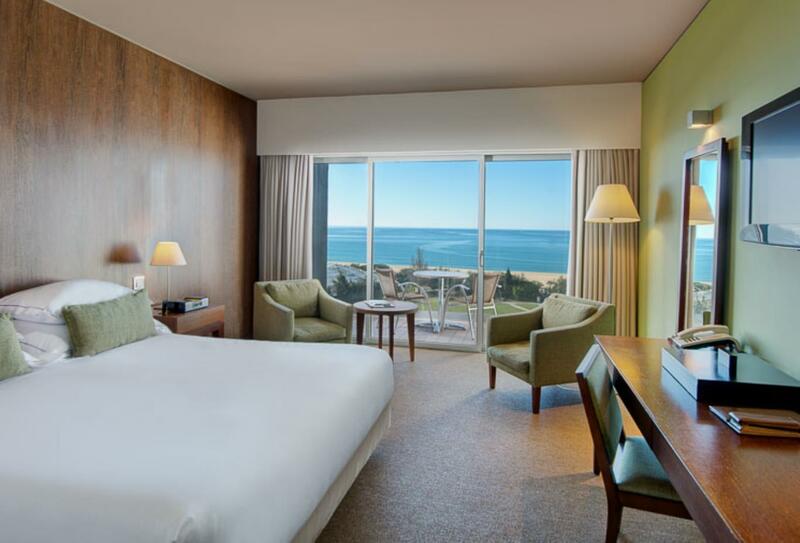 Tivoli Marina Vilamoura is set by the famous Vilamoura Marina and the lovely Praia de Marina Beach. Only moments away are an array of spectacular golf courses, with the hotel providing a free shuttle service to and from many of the favourites. This can be arranged at the on-site golf desk which also offers special conditions for groups and special green fees. Within the hotel gardens you will find the exclusive Tivoli Spa, the first of its kind in Portugal, as well as the Italian Oregano Restaurant. Two other restaurants and three bars mean you will be spoilt for choice. Families are catered for with children enjoying their own menu, in addition to a separate pool and organised activities. 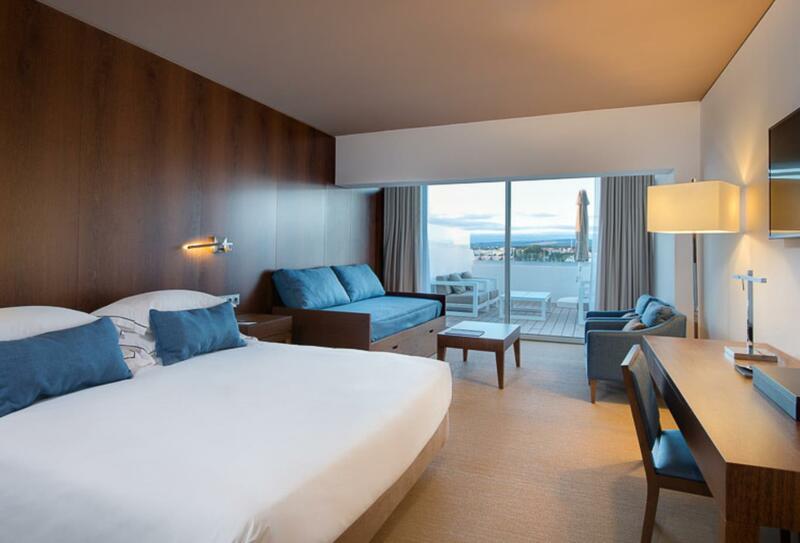 These rooms come with additional benefits such as free WiFi access, priority check-in & check-out and 10% off spa treatments. An ideal choice for families or groups, these rooms come with a sofa bed to sleep 2. Features include a deck with lounge area and views of either the sea or marina. 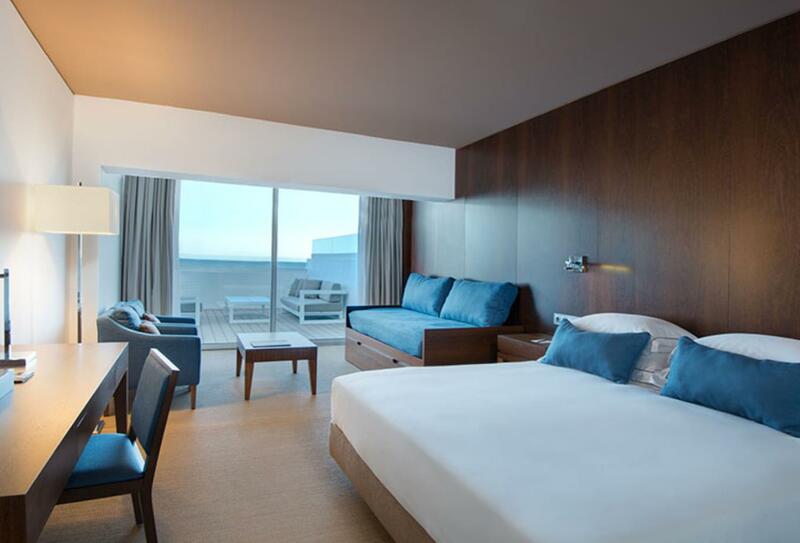 Situated on floors 2 to 7, Junior Suites include a rain shower in the bathroom, feature a separate living area and open out to a balcony with sea views. Here, you can enjoy carefully-selected treatments which focus on the use of natural ingredients such as local flowers, fruit, herbs and spices. 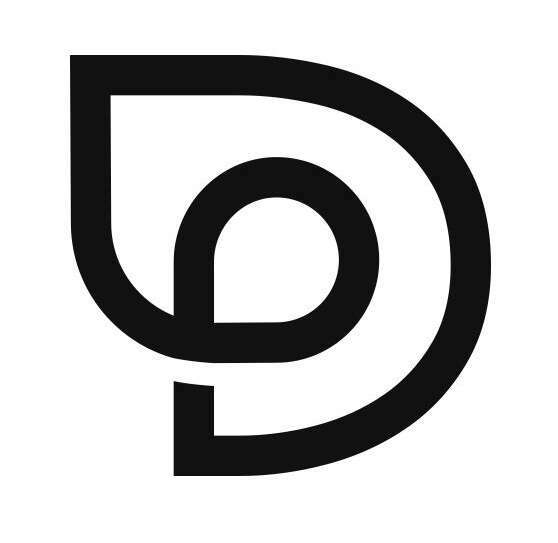 Treatments take place within one of 11 treatment rooms and are carried out by a team of specialised Asian masseurs. Sophisticated restaurant facing a lovely view of the hotel gardens, serving a delectable mix of Portuguese and international cuisine. Open for breakfast from 07:30 to 10:30. In the lush hotel gardens, the casual setting of Oregano is reminiscent of a traditional Roman patio. The menu includes Italian favourites such as fresh pasta, crispy pizzas and salads. Open from 12:00 till 18:00. The best cuts of meat are cooked to perfection and accompanied by a range of sauces and dressings at this not-to-be-missed restaurant. Open for dinner from 19:00 to 22:30. 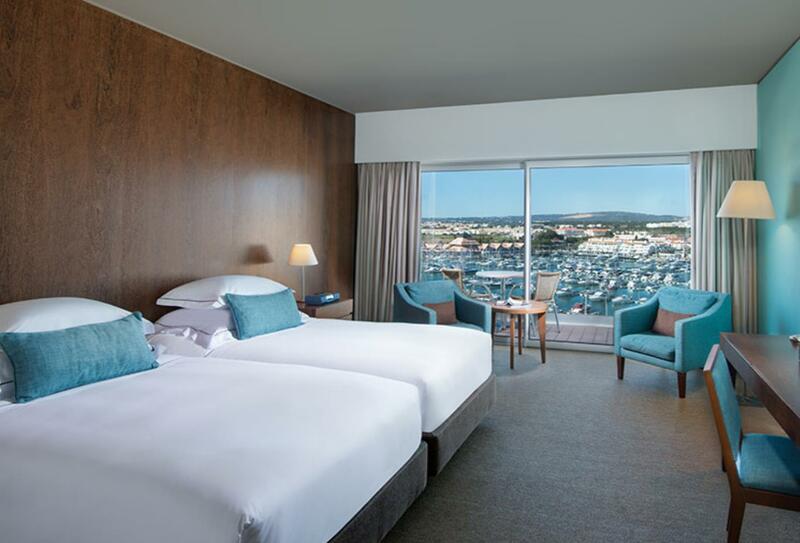 Sit back with a drink and be accompanied by live music and panoramic views of the marina. Open from 10:30 to 01:00. Situated right beside the pool, Acucar Bar offers the perfect place to retreat from the sun and enjoy a refreshing drink. Open every day in the summer, from 10:30 to 19:00. 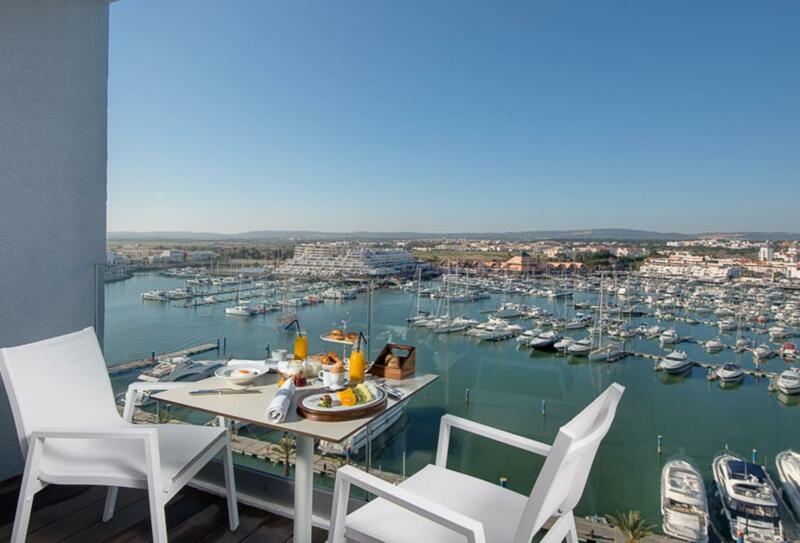 Open-air terrace with a range of drinks, showcasing panoramic views of the marina. Open from 10:30 to 01:00. 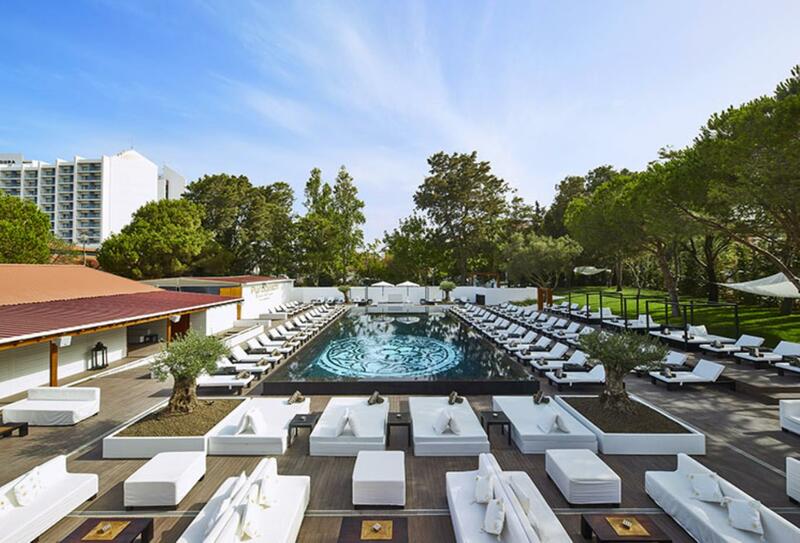 Set in an idyllic location by the sea, Purobeach offers a restaurant, lounge bar, Thai Chi and massage area. Opening times vary. 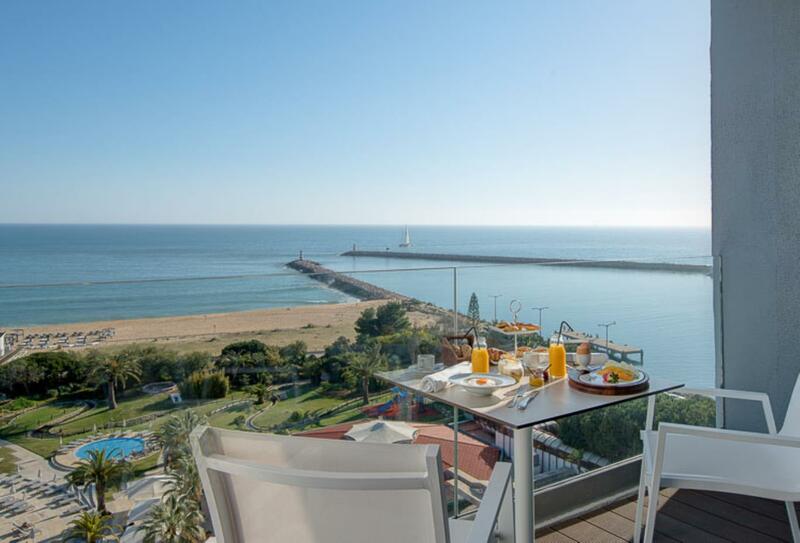 Tivoli Marina Vilamoura is located by the marina of Vilamoura and Praia de Marina Beach. The Roman ruins are a 15 minute walk away and the Oceânico Pinhal Golf Course can be reached within a 5 minute drive. Faro Airport is situated a 30 minute drive away. * Excursions organized by the T/Kids team for children and families: Zoomarina, aqua Parks, Ecotour and boat trips in the Lagoon.